Thanks for clicking though from my Pinterest profile. 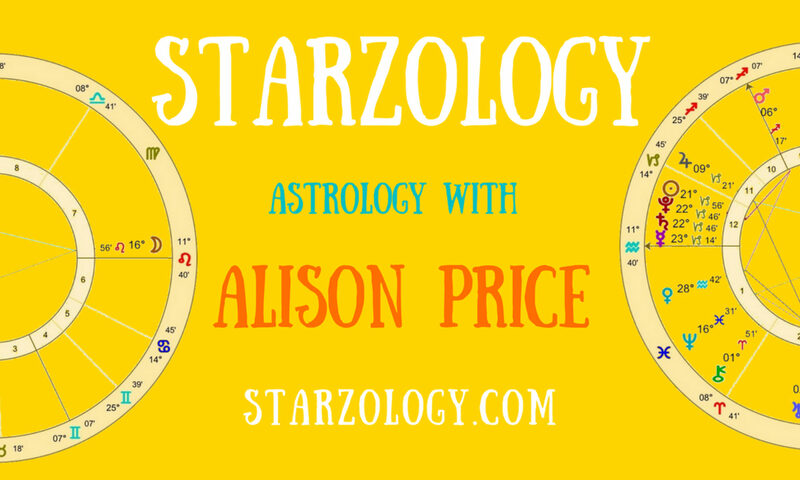 Allow me to introduce myself my name is Alison Price I am an astrologer at Starzology.com and the Starzology Pinterest account. I’m an English/Canadian astrologer living in leafy Oakville on the shores of Lake Ontario. I am married and we have four children two have flown the coop and two are teetering on the brink. I am a full time astrologer making a living from it since 1980. I have had the Starzology static website for five years and I started blogging in May 2012 when I had my Mars return in the third house. I started out with just Starzology – a site about astrology, learning/teaching astrology, and how to create a successful astrology business and The Astrologer’s Life is where I share some of the related topics that take my interest from time to time. A pending move to Vancouver has inspired another blog Astrology Vancouver – a fledgling site which I hope will explore psychological astrology and support the Vancouver New Age community. In 2012 I also began Casino Peril – Fifth House Financials which I now discover is a wordpress.com site and I need to convert into a wordpress.org site as soon as time permits. This where I share my astro financial commentary with a strong focus on Forex. You can subscribe to Starzology’s RSS feed. @Starzology on Pinterest You must have an interest in Pinterest because you’ve clicked through on my Pinterest Profile link; I’d love to connect with you there via my @Starzology Pinterest account. I have written a book about astrology – Introduction to Astrology: a beginner’s course workbook with questions and answers. This book brings together the introductory teaching that I’ve done on astrology. It is designed for the beginner student who has no astrology knowledge and wants to start learning. Also look out for my upcoming Use the Moon to improve your Astrology Business in 29 Days – a practical month long challenge for astrologers wanting to take their astrology business to the next level. There are also some other Starzology eBooks on a variety of aspects of astrology coming soon.